The Academy Award-winning 1947 film Miracle on 34th Street is a perennial Christmas favorite. As an annual classic, though, it’s also wide open to fertile, regularly entertaining and often undermining parody. Utah’s Off Broadway Theatre’s production Miracle on 3rd and Main Street aims to be all three. 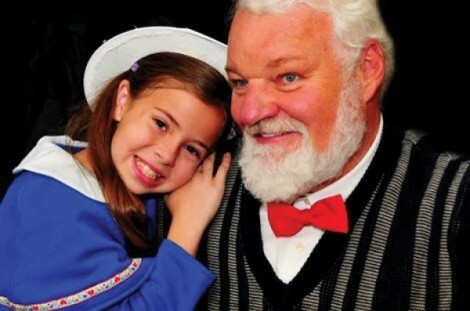 Like the original, this story contains a worthy Kris Kringle (played by Bus Riley, pictured) who is genuine and kind and full of holiday good cheer. Unfortunately, when Kringle travels through Salt Lake City performing miracles of a sort along the way, the native naysayers have a hard time believing in the magic, and once again put him on trial for sanity—this time played for laughs instead of wrenching sentiment. Yet as is typical for the season, Yuletide wonderment wins out, as you will surely pause to believe in the Claus once again.